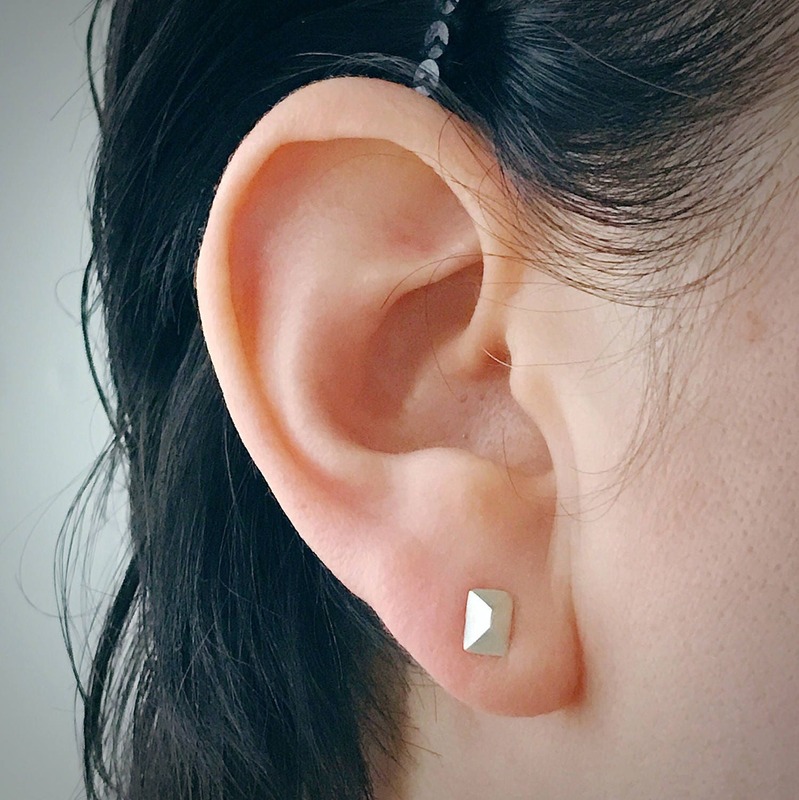 An edgier version of the classic stud earring. 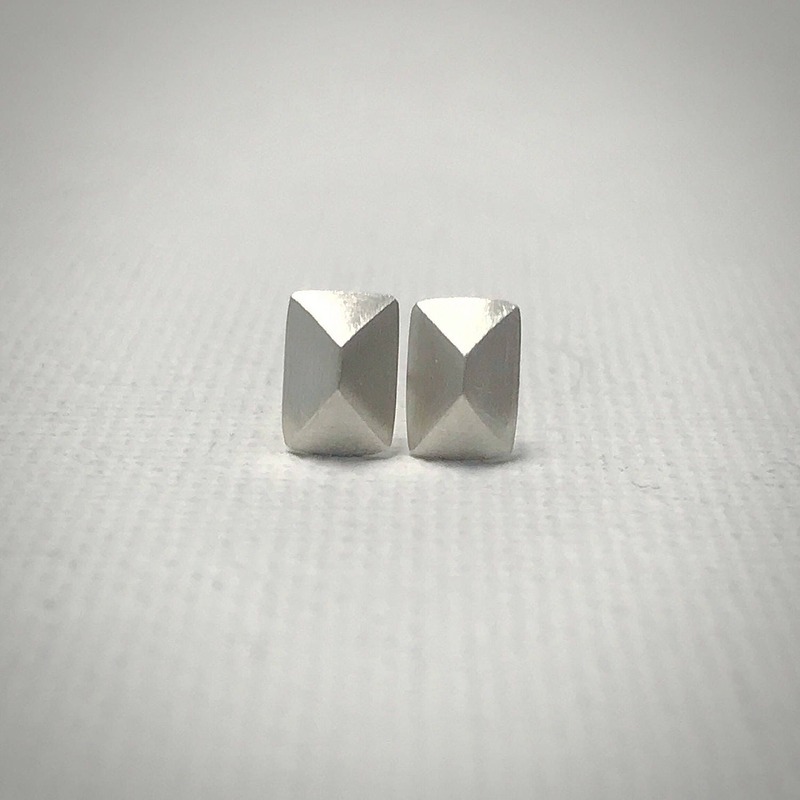 The triangle stud earrings feature four beveled edges creating a triangular appearance. They have a brushed matte finish for a modern look. 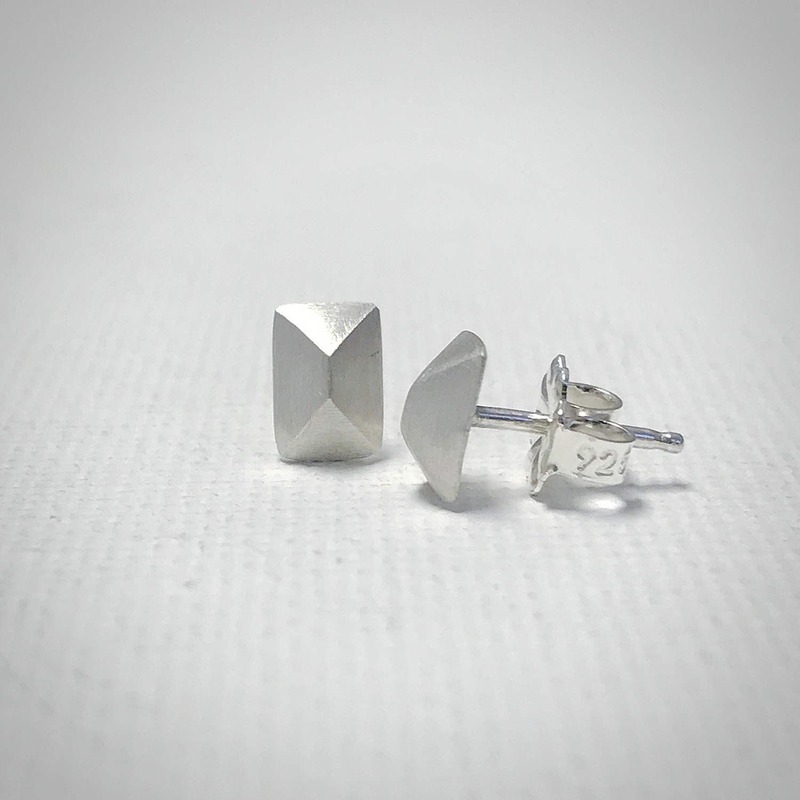 Measuring 4mm x 7mm, they are lightweight and comfortable making them perfect for every day wear. 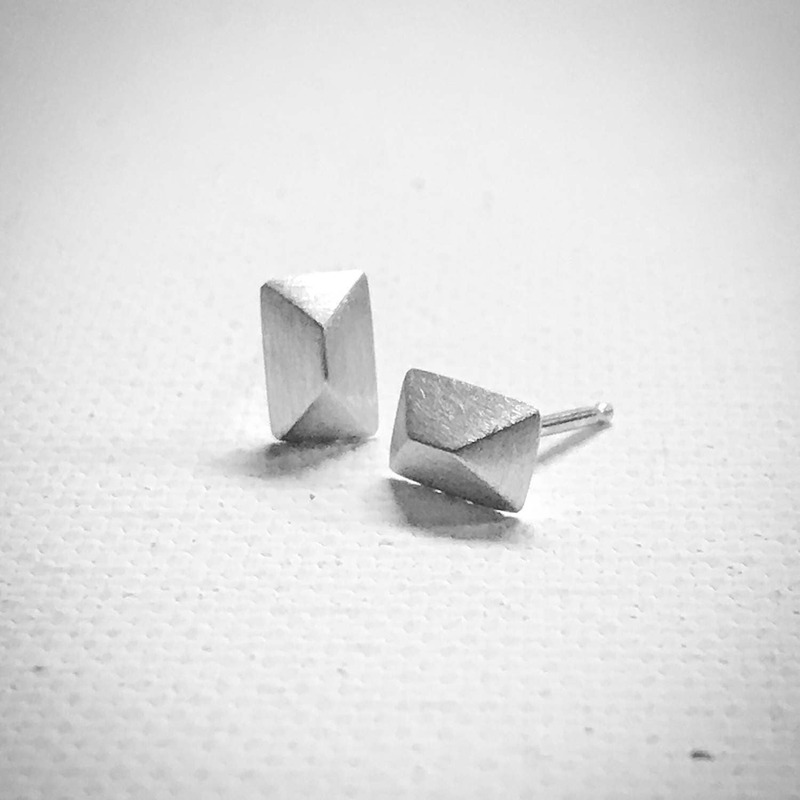 The triangle studs make a great gift for both adults and teens!